Samuel Goldwyn's The Dark Angel is a sumptuously produced soap opera with a poignant "Enoch Arden" style denouement. Fredric March, Merle Oberon and Herbert Marshall star respectively as Alan Trent, Kitty Vane and Gerald Shannon, friends since childhood. 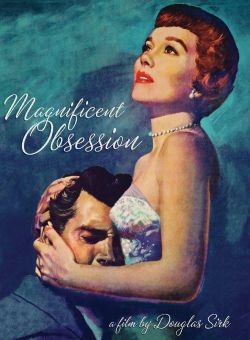 Though Gerald is deeply in love with Kitty, it is Alan who wins her hand in marriage. But before the wedding can take place, WW I intervenes, and both Alan and Gerald march off with their regiments. Blinded on the battlefield, Alan gallantly pretends to have been killed so that Kitty will not feel obligated to care for him. 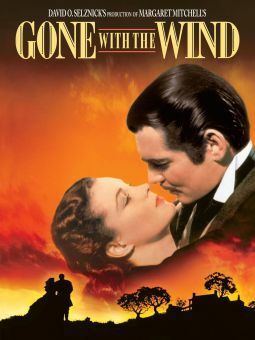 Eventually, however, she discovers that he's still alive, which leads to the film's most memorable scene, in which the proud Alan painstakingly arranges all the furniture and bric-and-brac in his room to make it seem as though he can still see. Though the film is set in the late teens and early '20s, Merle Oberon is garbed throughout in the latest 1935 fashions -- an endearingly anachronistic Sam Goldwyn trademark. Oscar nominations went to star Oberon and art director Richard Day, with the latter taking home the gold statuette. 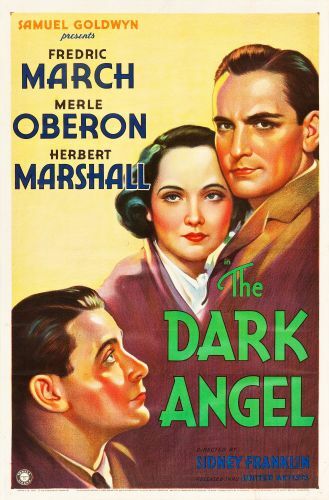 Adapted by Lillian Hellman and Mordaunt Sharp from a stage play by Guy Bolton (written pseudonymously as H. B. Treveleyen), The Dark Angel was previously filmed by Goldwyn in 1925.